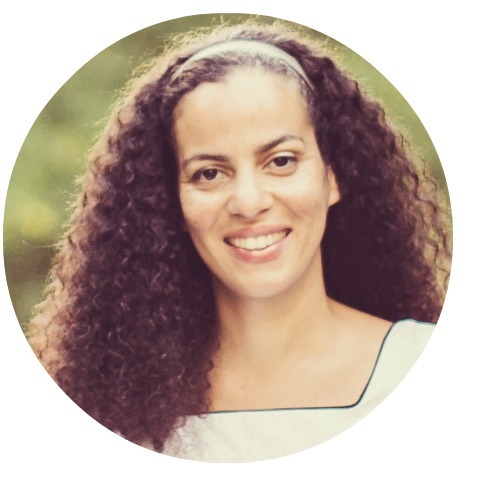 Welcome to everyone here for the 30 Days of Sundresses series hosted by Melly Sews. 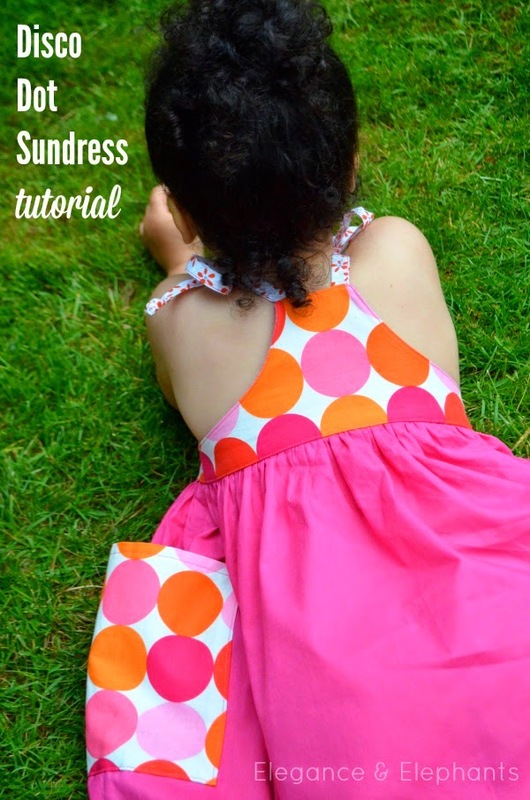 I love this series, with tutorial after tutorial of cute dresses to wear in the summer sunshine! Last year, I remixed the Pleated Playsuit pattern for my Village Green Sundress tutorial, and this year, I decided to do the same thing. What I came up with this time, was a little dress with ties and a cut-off racer back. It's great for showing off a couple different fabrics, and the bodice is fully lined. I've had this Michael Miller Disco Dot fabric in my stash for ages and Anja's been asking for something to be made out of it. 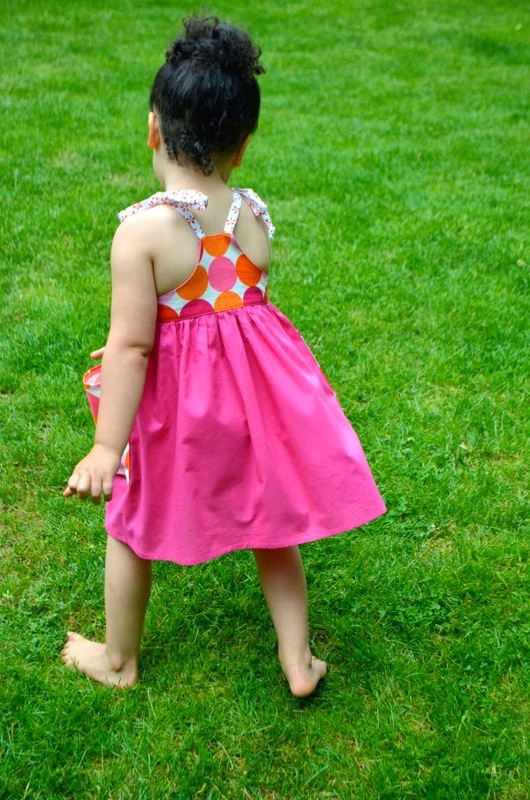 This dress was the perfect opportunity to pull this fun, bold fabric off the shelf and turn it into something sweet for summer. 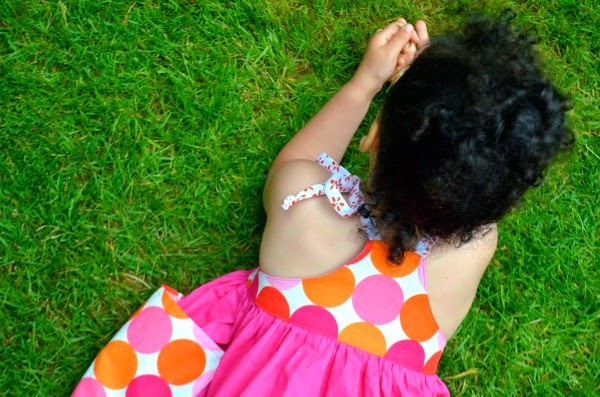 If you don't already have the Pleated Playsuit Pattern, download it HERE and follow along to make your own Disco Dot Sundress. Just to explain step two a little further, you want the width to be the size you would normally sew, but the height size to be one size smaller. 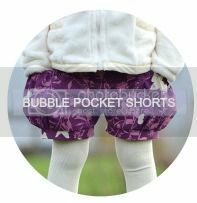 For example, I made the size 4/5 width for my daughter who wears a size four, but cut the height at a size 2/3. 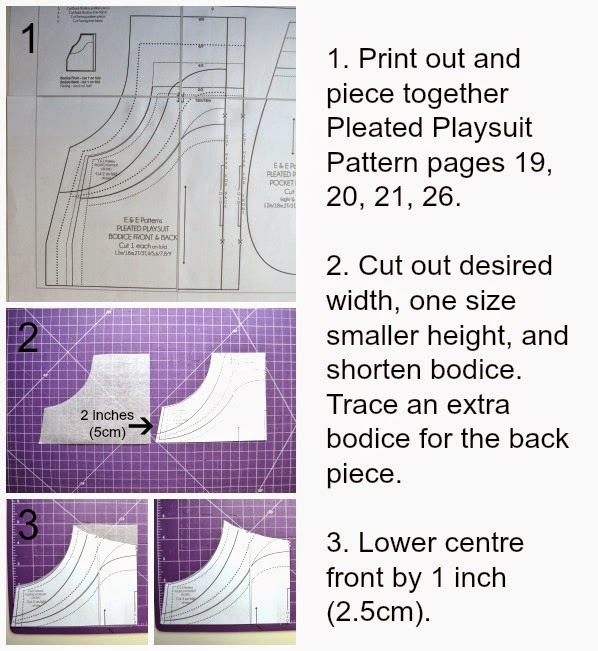 Now, continue with steps 2 - 8 on pages 7 and 8 in the Pleated Playsuit Pattern. 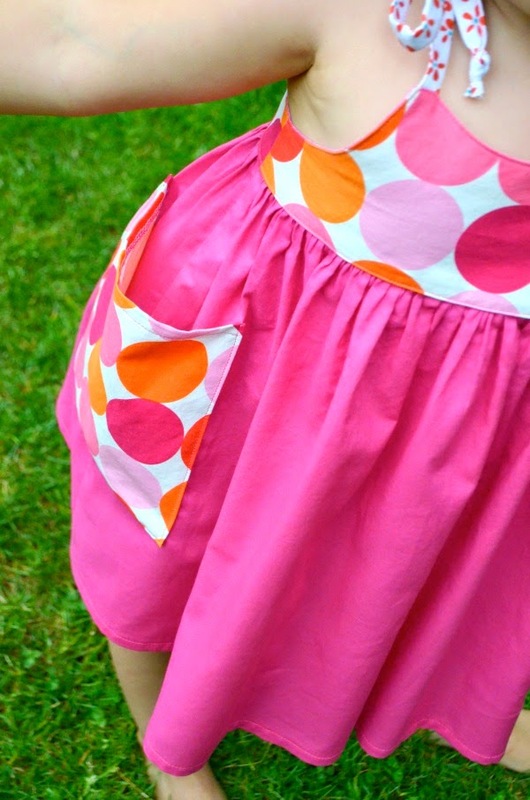 Keep in mind that you are sewing with a lining instead of a facing. 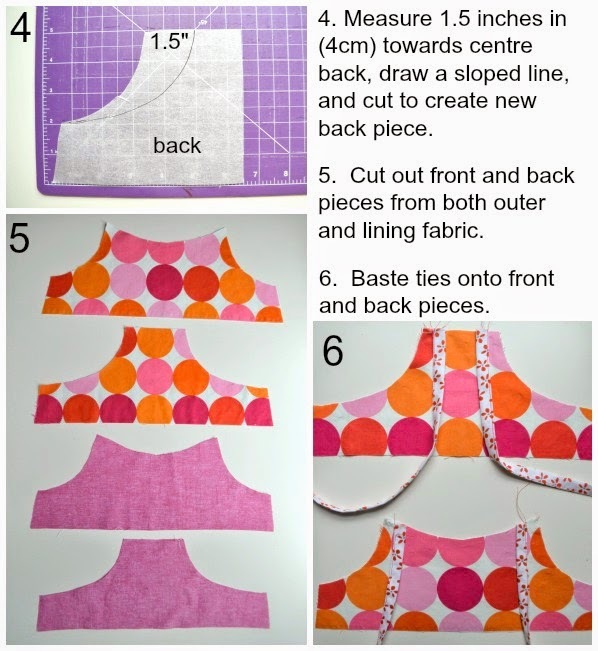 Cut your skirt to whatever width and length you desire, but if you would like some direction, you can use the chart below. Now, it's time to sew the skirt and attach it to the bodice. 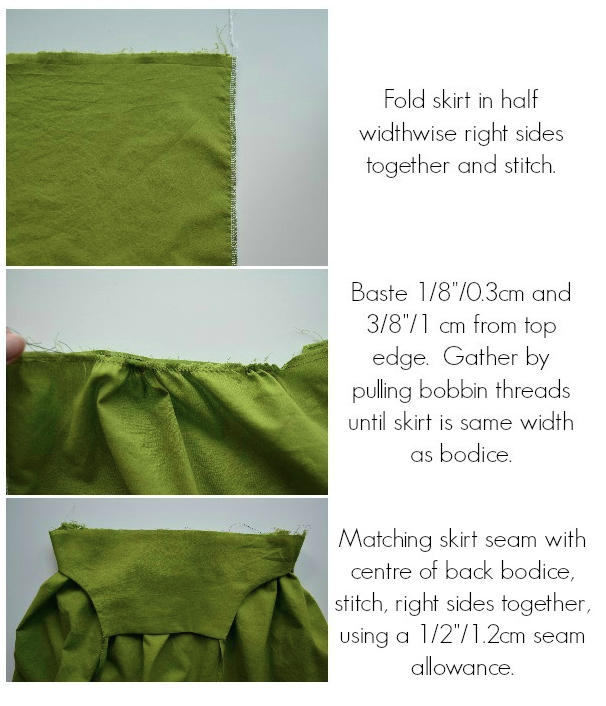 If you have two skirt pieces, sew right sides together on the side seams, and match those seams to the bodice when you attach the two. Feel free to customize with pockets, if you like. Hem the bottom edge and you're done! 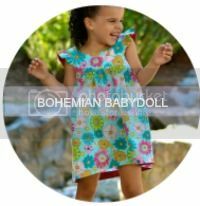 And there you have a super sweet, quick and easy to make sundress with lots of versatility and opportunities to have fun with fabric combos. 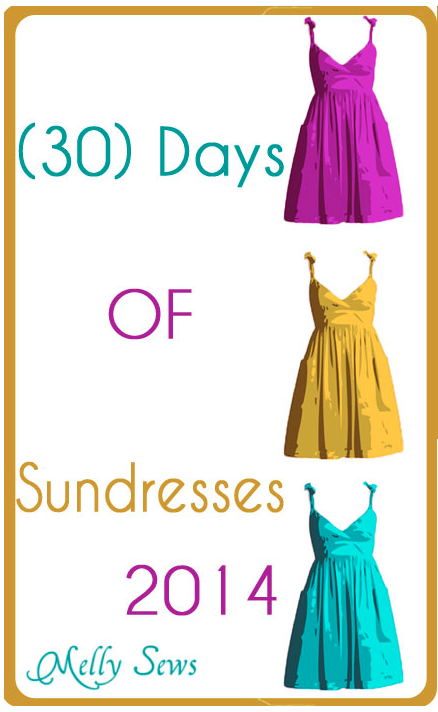 It's always a pleasure to participate in and follow along with the 30 Days of Sundresses Series. Head over to Melly Sews to keep up with all the guest posts and to enter the giveaway. Have you heard about the prize? One lucky winner is going to receive ALL NINE of Melissa's dress patterns!! Enter the giveaway HERE. 9 comments on "Disco Dot Dress Tutorial"
this is so cute! love the narrow back piece. I love the colors! Thanks for joining me for the third year Heidi! 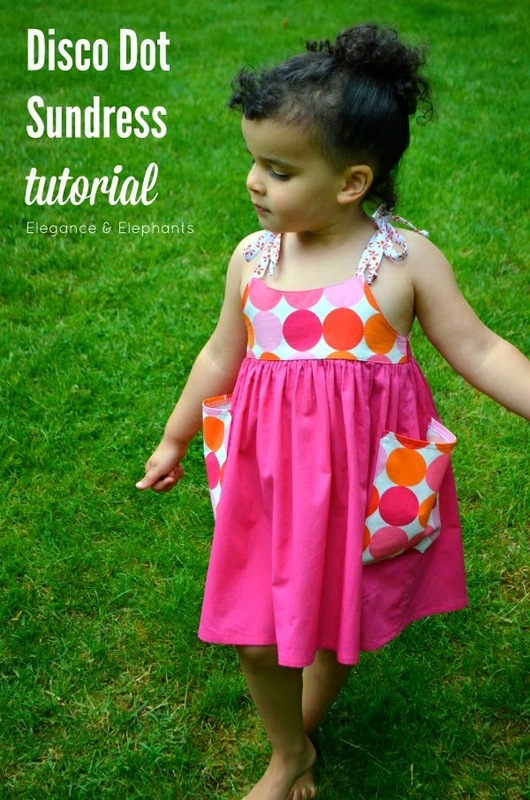 We included your cute dress in our round up of things to sew with geometric fabric! 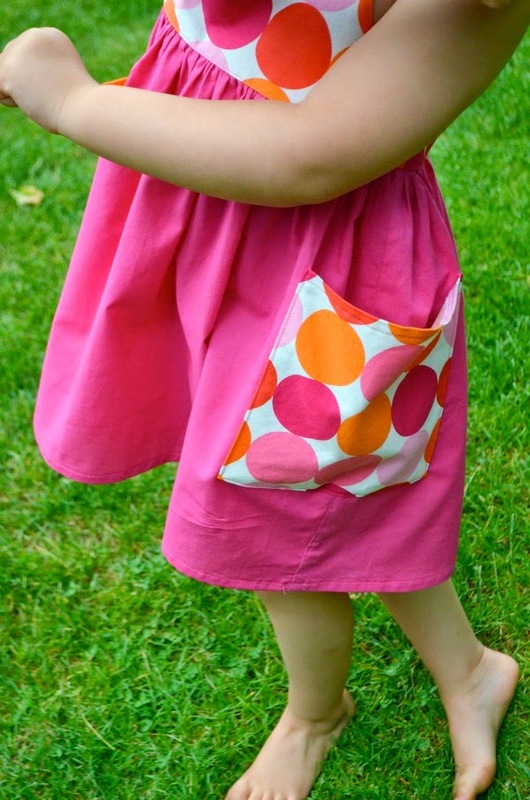 (http://skirtfixation.com/2014/06/20-things-sew-geometric-fabric/) So cute!